port and MENLOPARK agree on far-reaching cooperation for the regions of India and Singapore. In the future MENLPARK will take care of customers in India and Singapore and support customers locally. At the same time, MENLOPARK will provide technical support for PORT products and system integration for local customers. Dietmar R. Franke (CEO) port GmbH: The interest of companies in India and Singapore in port's real-time technology has greatly increased in recent years. Therefore, we are very happy to be able to close the local gaps in India and Singapore with this partnership. MENLOPARK offers us the appropriate knowledge and the local presence in the locations in India and Singapore. Krishna Navuluri (COO) MENLOPARK: Expanding our offer in the area of industrial real-time technology is an important strategic step for MENLOPARK. Now we offer our customers in India and Singapore comprehensive knowledge in the field of fieldbus communication (PROFINET, EtherNet/IP, EtherCAT, CANopen, POWERLINK). In the future, solutions for TSN and OPC UA applications will follow. 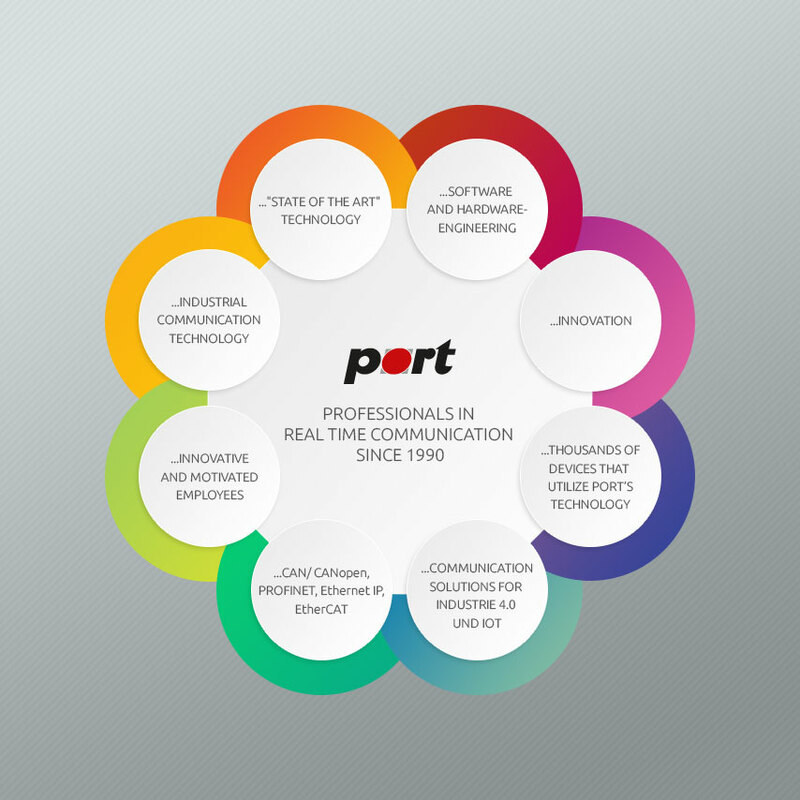 With the GOAL technology (middleware), PORT offers a particularly comprehensive and attractive solution for multi-protocol solutions.